Go look at the keyholes on all of your locks. 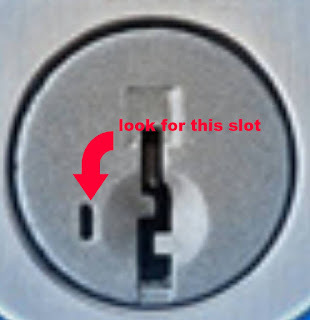 If any have a small hole/slot next to the keyhole, like in the photo below, please consider replacing your locks with better locks. This design is prone to random failure and lockouts. Even worse than their failure rate is how easy they can be bypassed by crooked people with minimal knowledge that could cost you in excess of $450. Contact a reputable locksmith as we know what locks are best for residential applications. We can even order lock designs the bigbox stores don't carry or even order commercial grade locks if you want those. If you still want to use bigbox home center locks, only purchase pin tumbler locks and not Smart Key locks. This article tells you why you shouldn't click on locksmith ads listed on Google. The parasites use those ads to rip you off. Also remember there are no $19 locksmiths or $25 ones or even $35 ones. You should expect to pay at least $55 for a professional locksmith to unlock your car or home. An that is the TOTAL price. Remember call a locksmith when you lock you keys in your car. Because breaking a window could be more expensive!!! The professional locksmith is more than just someone who shows up to unlock the door when the keys have been locked inside. to use in the case of a lockout. He or she will prevent damage to the door and lock in the process of getting the door open. The professional locksmith will generally have had extensive training, either from the employing company or a special training program. As with any security position, the locksmith profession requires people who are willing to make integrity and security their highest professional and personal values; and confidentiality and honesty are hallmarks of the profession. 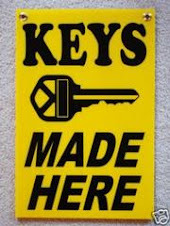 Someone who duplicates keys for a living is not considered a professional locksmith. A professional locksmith is someone who is trained to install, repair, open or modify locks, and who can create original keys for locks. 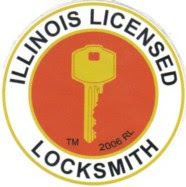 The professional locksmith will carry insurance, be bonded and may even be licensed by the state. A professional locksmith should be available twenty four hours a day, and ready to respond within a reasonable timeframe. When called out for service, the professional locksmith should be able to say approximately when they will arrive. With a general idea of the lock-related problem, the professional locksmith should also be willing to provide a ball-park quote, and should definitely be prepared to say what forms of payment they can accept, usually only cash or credit/debt cards. There are many people who are able to unlock doors, but just because someone is can pick a lock does not mean that a consumer should hire that person to open their house! The professional locksmith offers the highest level of care to their customers. Reliability, honesty and a professional presentation are just some elements which can assure a customer in a stressful lockout situation that they are in good hands. Because so many lockout situations inspire panic, it can be difficult to decide on a locksmith to call in a rational and reasoned way. One of the best relationships to form ahead of an emergency is that with a professional locksmith – One who you have met at their store and one who is prepared to help you no matter what time of day or night you need them. This young lady was locked out. She called $19 24/7 Locksmith she saw on Google. After arriving 2 hours after she called, the "locksmith" arrived in car with on signage, told her the lock was pick proof and needed to be drilled. He replaced the drilled lock with one that looked exactly like it; even the new keys look the same. He handed her a receipt that said Acme Locksmith Inc for the amount of $250+, $19 service, $80 entry fee(drilling) and $150 for the new lock. She had to pay cash too. She called to complain and got the run around. She decided to take a male friend to the address on the receipt to help her complain. The address was a local pizza place. That is how the scammers work, get you to call with a low listed price, drill open your lock and charge you a exorbitant amount for a bargainlocks dot com lock they pay $5.39 for. My rates are very reasonable and I except cash, checks and credit cards. Please call first before coming as this will save you a trip if I can't help you with your key or lock problem or if I'm out on a call. 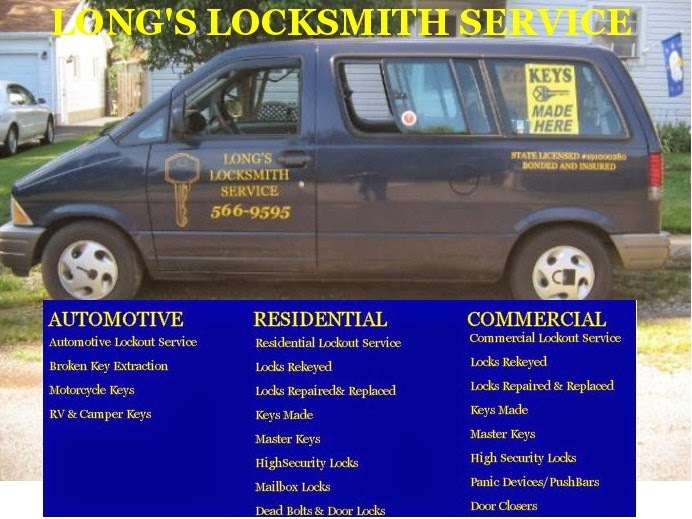 I started Long's Locksmith Service aka The Key Shop in 1992. I am licensed and insured as required by the state of Illinois, my LIC# is 191000280 and I am also bonded. I do general locksmith work. I have lived in Mascoutah since 1971. I went to Mascoutah public school and graduated in 1985. I passed my locksmith course in 1991 and since locks and locking systems continue to change I'm always learning. I DO NOT MAKE KEYS TO TRANSPONDER EQUIPED VEHICLES OR HIGH SECURITY AUTOMOTIVE KEYS.